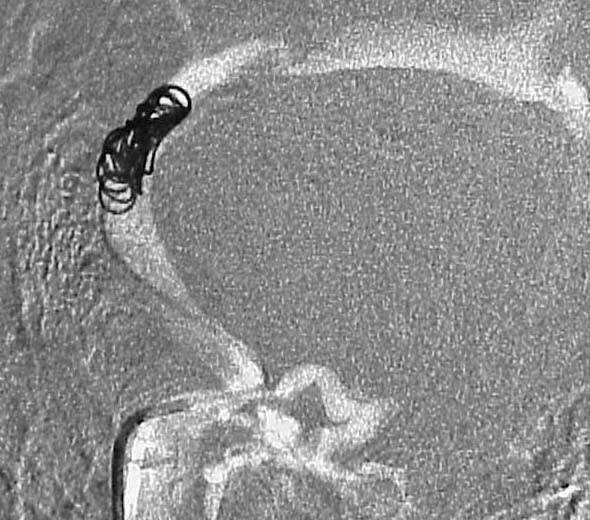 Patient with a 6 year history of pulsitile noise in her right ear. Patient experienced sudden severe headache and went to the emergency room. 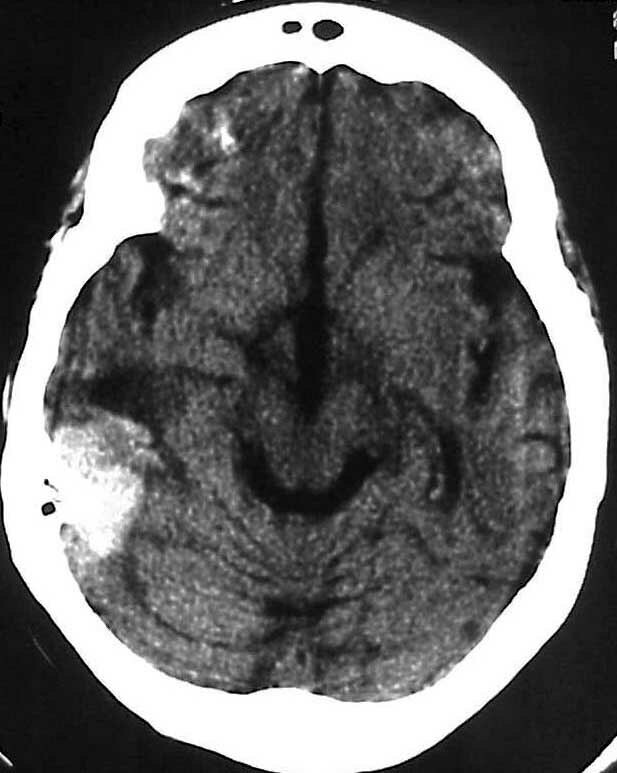 CT scan shows new bleeding on inside of her brain. This is the round white area within the brain on the left side. 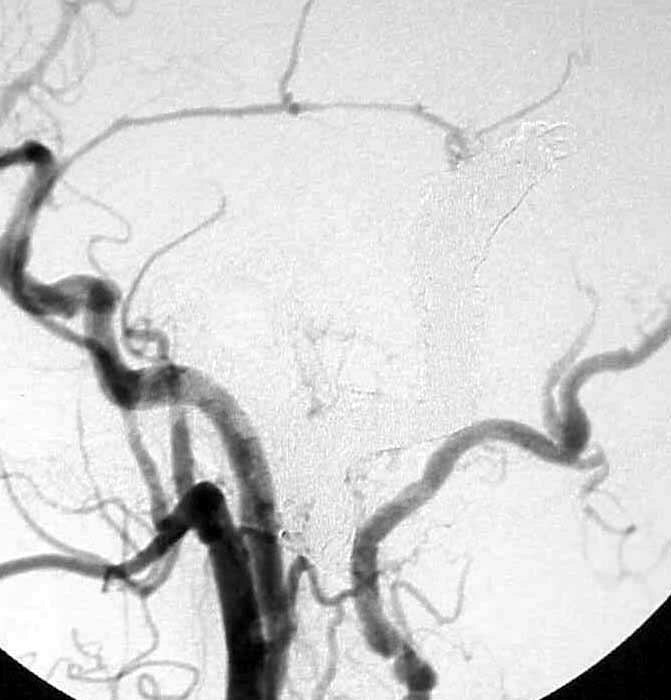 The patient was taken immediately for an angiogram in which a long tube called a catheter was placed through the artery in the groin upstream of the blood vessels that feed the brain. X-ray dye was injected into the brain vessels which show a short circuit between the arteries that feed the scalp and covering of the brain and a large vein called the transverse sinus. The image to the left shows a side view of the angiogram which show backwards flow and congestion in the veins that drain the normal vein. The patient is facing to your left. 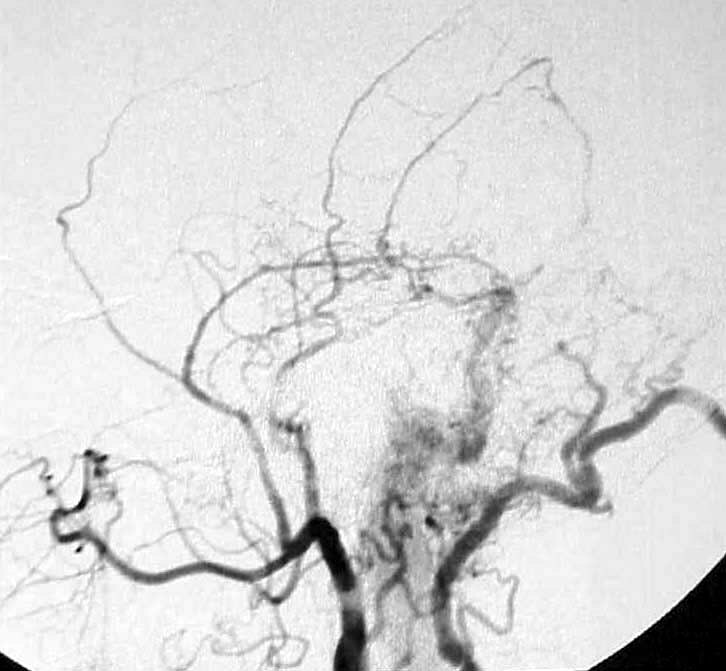 The backwards flow within the brain veins indicates that this is the "bad" type of dural arteriovenous fistula. 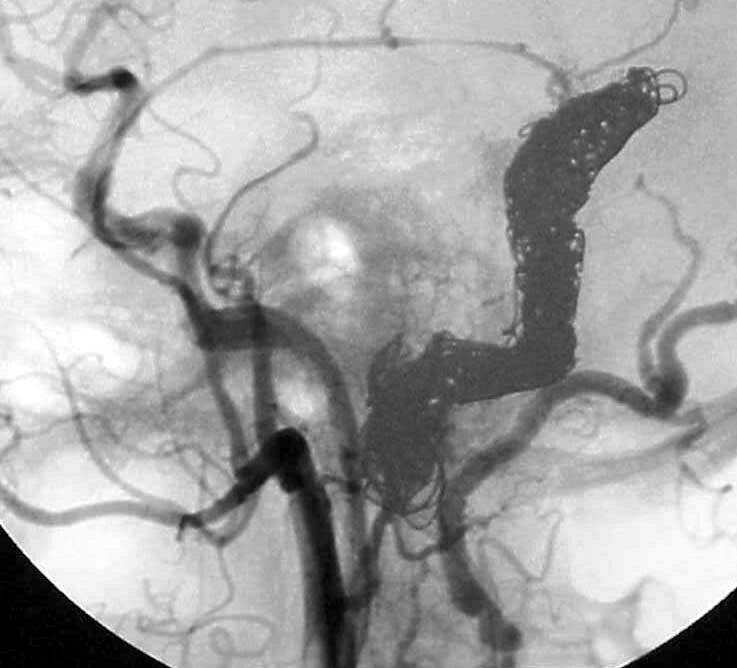 The patient then had the abnormal short circuit blocked by having an embolization procedure. A tiny catheter was placed into the site of abnormal connection by threading it up from the patient's groin under x-ray guidance. The image to the right shows placement of the catheter at the site of short circuit and placement of the first of many metal coils to block off the abnormal flow. Many more coils were placed until the site of abnormal connection was completely blocked off as seen in the image to the left. This is a side view with the patient facing to your left. The images below show the difference after embolization. The image on the left is the original angiogram showing the fistula. The image on the right shows that the fistula is gone after the embolization procedure.